Over the phone, Richard Anderson takes great pride in telling me that on his side of the Atlantic it's a sunny 75 degrees. I decide not to make much of the fact that in England it's wet, extremely windy, and only just above freezing. Anderson has had a long and varied career, and from appearances on both the big and small screen, he has moved on to become a wheeler-dealer behind the camera. The interest in production was triggered in 1988. He and Lee Majors came to England for a benefit for blind children spear-headed by Princess Margaret. The two of them continued on to the south of France for a barge holiday with a group of friends. Majors went off running one day, and Richard and friends headed off on bikes. The two of them met up in the middle of nowhere and improvised a short scene. "Hi, Steve", said Anderson. "Hi, Oscar", replied Majors. "I've got one more mission for you", expanded Anderson, who was being met with the sort of reluctance you would expect from a retired bionic man. With the series having been out of production for over a decade, a revival was difficult to set up, and it took Anderson over a year to get the project moving. Since then, that first TV movie, "The Return of The Six Million Dollar Man and The Bionic Woman" has been followed up by two further movies - "Bionic Showdown" and "Bionic Ever After". "We're looking at doing a theatrical feature next", comments Anderson. "It was while we were editing the last one that it seemed time to do a motion picture. I'd tried once before, but this time around the studio were more receptive. We're currently in development, for what will be a high adventure movie with the latest special effects. "Mission: Impossible" made $450 million, so perhaps the time is right". Anderson's personal view is that the movie should involve as many of the original cast as possible, but they're not yet up to that point in the film's development. Anderson is in partnership with producer Larry Gordon on the project, and they've considered that the show's original child audience between 1973 and 1978 will now be in their 30s and 40s. Add to that daily reruns of both Steve Austin's and Jaime Summers' adventures on Sci-Fi on both sides of the Atlantic, and the new young audience will have familiarity with the show, too. Australia has even been screening the shows again in prime time. It all adds up to a ready-made worldwide theatrical audience for the project. 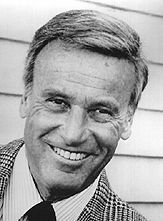 Will Anderson himself be appearing again as Oscar Goldman? "Look at Bond", he notes, "They've changed him before without changing 'M'. The same could be true in this case". Richard Anderson made 29 motion pictures for MGM at the start of his career in the 1950s. In fact, there's so much to Anderson's wide-ranging career that he's due to soon have his own Home Page on the Internet! Of particular note was the SF blockbuster "Forbidden Planet" in 1956, "The Long, Hot Summer" with Orson Welles and Paul Newman in 1958, and the Kubrick movie Paths of Glory in 1957. "That was tough to get made", he advises. "Stanley was a very visual director, he had an overall concept in mind, and his interest was always in telling the story. He had read something at 11 years old about a British Army outfit who had shot five people in their battalion, and that influenced the movie. He got me being a dialogue coach while he was attending to other things". Richard began his TV career in 1961. He was a series regular in "Bus Stop", playing District Attorney Glenn Wagner. One episode, directed by Robert Altman, caused concern at the time, with a story about a teenage psychopath, and was widely criticised for its violence. "Altman was way ahead of his time. I remember there being concern about it", notes Richard. A regular role in the war drama "Twelve O'Clock High" followed, before he went on to join the cast of "Perry Mason" for its final season, as police lieutenant Steve Drumm. A few years later, he was back in series television alongside Burt Reynolds in "Dan August", playing Chief George Untermeyer. "Burt is very magnetic, very bright, and has a great sense of fun", Richard says warmly about his series co-star. Reynolds went on to major stardom soon after the series finished, and reruns of the series on the back of this celebrity meant the show did better than ever. Richard is very proud of his involvement in the career of Sandra Bullock. She got a major break when she was cast as the new bionic woman in "Bionic Showdown". "We saw some tapes of her, and I knew we had to get hold of her", notes Richard with his producer's hat on. "We spoke to the network about doing a series with her, but nothing happened. I admired her presence, and she's a very interesting lady. She stepped in to do "The Glass Shield" a couple of year ago with me, and was great. I have a sense about actors, and it takes time for them to develop. I knew Kristen Scott Thomas was going to make it big, for instance". Rumours of on-set friction between bionic stars Lee Majors and Lindsay Wagner were commonplace in the 1970s when the shows screened in the UK. Could Richard confirm if this had been the case, him having worked on both shows at the same time? "As you know, Lindsay came in as a guest star, and then got her own show. There's a lot of puff going on in many a series, and it all helps to hype the shows. Everyone worked extremely hard, for instance the SIX MILLION DOLLAR MAN episodes were turned around in six days, with THE BIONIC WOMAN taking just slightly longer. With that sort of turn-round, and the long hours, there will always be some disagreements". Richard is getting much more fan mail from England now that SCI-FI are rerunning the bionic adventures.